Children's National would like to thank all of our donors for helping to make our hospital one of the nation's best, especially for babies. U.S. News & World Report has named Children’s National to the prestigious Honor Roll of 2017-18 Best Children’s Hospitals and as one of the top 10 pediatric hospitals in the country. Dr. Kurt Newman, president and CEO, said, "Philanthropy is so important in helping us provide the best possible care and always strive to do better, and I'm grateful for support of all of our donors and partners. I hope you will take pride in this accomplishment and share this news with others." This year, our neonatology program was ranked NUMBER ONE, among more than 1,500 NICUs across the country. In the history of the Best Children’s Hospital rankings, this is the first time that a Children’s National service has been named the best in the nation. This is a direct result of the extraordinary expertise of our NICU team and their dedication to supporting every family, every day. But this honor is also a reflection of the quality of care across Children’s National. That’s because treating these tiny patients so often encompasses many other specialties, including cardiology, neurology, surgery, and our Fetal Medicine Institute, which works closely with our neonatology team on both research and clinical care. 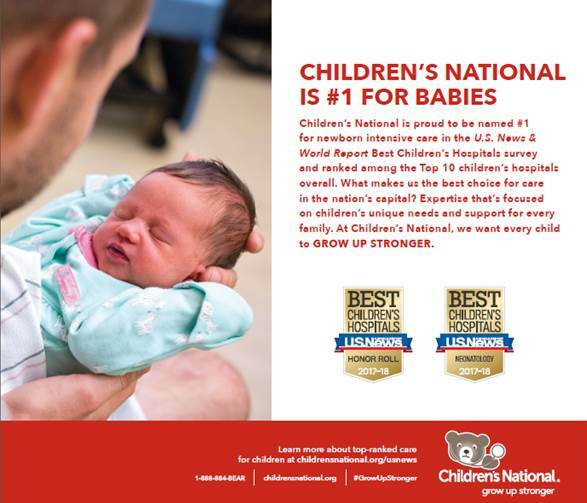 In addition to achieving the #1 rank in Neonatology, four other Children’s National services ranked in the Top 10: Cancer (#7), Neurology and Neurosurgery (#9), Orthopedics (#9) and Nephrology (#10). This is the seventh year that we ranked in every specialty. 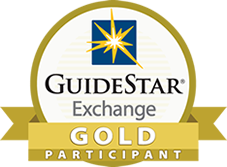 Read our news release and see the full rankings. Thank you for your dedication to our mission and for helping us do even better so every child can Grow Up Stronger.